Due to a problem with our 6.3 release that is preventing some Android users from being able to join in to the game upon a fresh install, we will be releasing a new 6.3.1 hotfix that should solve this issue. We want to have this out to you all ASAP, but do not have a specific time right now. Due to this delay, we will also be delaying the release of Tantrum and his Spotlight Mission by one week. In the meantime, we’re going to extend our Month of Jazz with another week of Jazz Arenas! We’re also going to be doubling up on the rewards for Alliance Missions this week, and sticking to 30 minute timers for the week as well. But that’s not all! 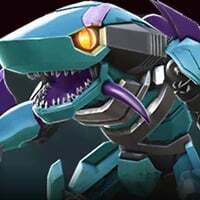 For those of you that already have your 4-Star Jazz, it’s time for Sharkticon Week 2: Deep Sea Boogaloo (not really… I just wanted to say that)! We’re going to bring back the Sharkticon Arenas for this entire week. Earn Sharkticon Crystals in the Milestones, and Rank Rewards of these Special Arenas, and forge them up to earn Sharkticon Crystal Shards for the next tier up (only up to 4-Star… There are no 5-Star Sharkticons at this time, so no 5-Star Sharkticon Crystal). Unfortunately, we are not able to extend the Missing Beats Spotlight mission (as this causes some unintended side effects). We will be extending the Monthly Objectives, but please remember to finish up any Spotlight Mission related objectives before it goes away on Thursday! We apologize for the short notice on this, but do not want to release Tantrum at a time when some of our Commanders are having trouble accessing the game, and must ensure that the new release is stable before we are able to release a new Bot. ***UPDATE***Alright everybody, we have a new plan that we need to explain to y'all. Tantrum, new Monthly Objectives, and the new Spotlight mission are going to be release on July 12th at 10 am PDT. This is exactly one week after we would have normally done it. You will be able to start earning Tantrum Chips on July 12th. This differs from our first plan where he would have been available on the 11th. Jazz will remain in the Store and available for purchase with Jazz Chips until July 12th at 10 am. He will then disappear for a few hours, and reappear with reset Chip Costs for 1 week. That means that his price is going to reset to 10,000 and 100,000. Can you give us something similar to bee’s gauntlet for the week? The arena does give some decent rewards which help progression but I don’t think anyone really “enjoys” the arena. Will u guys start t3 class arena ! ?? Oh I am SO with this! Please give us a 1 week gauntlet with some goodies! Please please please. Also @Lapras has an awesome idea. Just rerun the same gauntlet I’m think most would be cool with that. And what happened to the t3c arena? And are we going to have 2 arenas going on at same time? Another jazz arena(puke) and shark arena at same time?? If so are the bots going to be recharged in 1 arena after doing the other or we can only do 1 at a time? Though we haven't any new details yet. I'm just going to assume they've been delayed a week as well. @Kabam Miike is it double map and rank rewards? When this fix is released and I can finally sign in again, will there be compensation for rewards I have been missing out on since 6-31? I never would have thought there would be a bug effecting one of the two sign in methods so I will be immediately creating a kabam account for both once back in. So we can get tantrum chips as of July 11th?? You'll be able to get Tantrum Chips as of the 11th from Duplicating Bots, but everything else will start on the 12th! Sorry! Forgot to mention this. The Tier 3 Class Catalyst Arena has also been delayed by a week. We'll have details on it before it goes live. It will just be Double Map Rewards, so exploration and Completion rewards, but not Rank rewards. Are we gonna get the bot intel report for Tantrum this week or next week? We're going to have to talk about this with the team. It's a complex issue, because it affected players in many ways. We're not gonna have a quick answer to this, but we are going to discuss this. tbh this is perfect for me, I'm leaving for a 1 week vacation on the 7th, and get back on the 13th. I won't have to make up for anywhere near as much time now. I understand. Just know that people have been getting really bored lately. This has been brought up several times, but so far Kabaam has not been able to deliver anything. For example, just this morning our ally was talking about having an competition of who can take down mix in ROK the fastest (either based on time or based on amount of hits it would take) because there really isent anything else to do. The team would like to inform you that we will be releasing Tantrum in the Game Store on Wednesday, July 11th, so that Commanders that have been holding on to their Jazz Chips to Dupe Jazz and get some Tantrum Chips as well, will have 1 day to do this. This also means that you will not be able to get Jazz Chips for getting Duplicates of Bots as of that Morning. Thanks @Kabam Miike & all the game team. You are doing a great job by running so complex game so smoothly, mistakes will keep happening we just hope they become less frequent. Please understand that when we get angry it just because we are frustrated for not playing the game we love. Does this also mean that Tantrum and his spotlight will be a week shorter, or will the next planned bot also be pushed back one week? So in the future it will be middle of the month instead of the beginning? 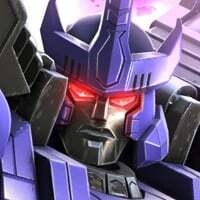 @Kabam Miike I can’t go another week without buying energon, but I really wanted the Tantrum chips. 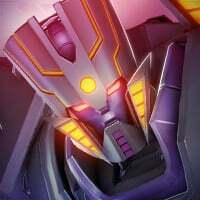 Can you please give us a very attractive energon bundle to tide us over? @Kabam Miike since you are here can you tell us what class Tantrum will be & if you going to make 5* version of him available in exchange for chips? That’s would help us to make the right decision about opening crystals to dup Jazz or save to get 5* Tantrum.